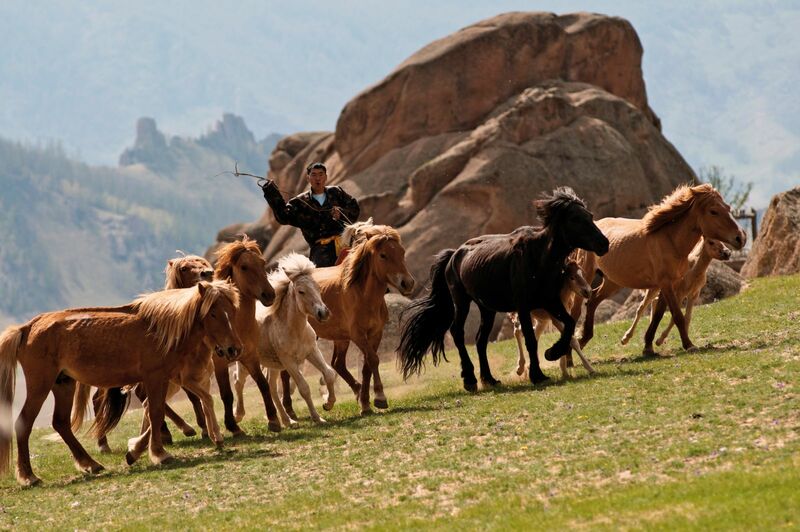 The name “Mongolia” has always stirred up visions of the untamed and exotic – the warlord Genghis Khan, camels wandering in the Gobi Desert and wild horses galloping across the steppes. Even today, Mongolia seems like the end of the earth – outside Ulanbaatar you begin to wonder if you haven’t stepped into another century, rather than another country. It remains one of the last great adventure destinations in Asia. One of the highest countries in the world, Mongolia is a land of harsh extremes—snowy mountains, wide expanses of grassy steppe, and windswept desert. Visitors travel to Mongolia to witness the country’s pristine natural areas and rich cultural heritage, escape the monotony of developed countries and to see first-hand why Mongolia is the fastest growing economy in the world. Mongolia entered 2013 as one of the world’s fastest growing economies, with forecasters predicting GDP growth of 18-20 percent. Driven by a boom in mining revenues, the impact of this growth is clearly visible in Mongolia’s capital city, Ulaanbaatar, where expensive office high rises, modern apartment buildings, and luxury stores are now common sights. The country has over 300 mines producing coal, copper and gold, fluorspar, uranium, tungsten and zinc. These minerals make up nearly one-third of Mongolias GDP and earn half of all foreign currency. On the edge of the 21st century, Mongolia remains to be one of the few countries to retain its ancient culture and traditions and the nomadic lifestyle plays an important role in creating a general perception about Mongolia. The capital of Mongolia is Ulaanbaatar, a city with a long and rich history. Set at an elevation of 1.300 m at the rolling foothills of the Bogd Mountain range, on the banks of the majestic Tuul River, Ulaanbaatar is the gateway to Mongolia. Ulaanbaatar, historically known as Ikh Khüree (Urga), was originally established in 1639 as a nomadic Buddhist monastic camp, which shifted from place to place until it settled at its present location in 1778. It became its present name in 1924, when the city became the capital of the new Mongolian People’s Republic. Ulaanbaatar, where ca. 1,5 million people out of Mongolia's 2.8 million population live, is the country's economic, cultural and political center. Today the city also offers mew comfortable hotels, modern conference facilities, fine restaurants, a number of tourist attractions and hosts the most varied types of entertainment. Mostly described as sunny, peaceful and open, Ulaanbaatar is a city of contrast where modern life comfortably blends with Mongolian traditional lifestyle. Wide streets are flocked by modern cars, while horsemen and cattle are still common scene. Though modern style buildings characterize the city center, visitors arriving either from the Genghis Khan International Airport or by train to the main railway would not fail to notice thousands of traditional Mongolian "Gers" in the vicinity, an area referred to by locals as "Ger district". The brand new four-star Centennial Hotel Tallinn has celebrated the official opening on the 23rd of November. Many guests from state institutions, corporate sector, media and tourism companies have honoured this event.